R.O.A.D. Entertainment Global is a evolutionary British multinational entertainment company head-quartered in London, UK providing and servicing entertainment to diverse consumer groups globally; trading under parent company Righteous Organised Always Determined Limited and core subsidiaries R.O.A.D. Music Group, R.O.A.D. Media Television and R.O.A.D. Academy. Primarily specialising in Entertainment and Training sectors of in the Music, Television, Publishing, Telecommunications/Internet and Video Games industries; distinguishing itself through the commitment it undertakes with each client providing structured entertainment packages to match the needs of repertoire owners, also factoring in the respectful demand of their day to day business as well as having the ability to provide key projects with a personal bespoke level of service. We believe in the highest quality entertainment using innovative concepts to develop content realised without compromising commercial appeal; utilising our strengths of directly accessing the booming underground trends of the youth culture globally bridging the gap between the “ROAD” and corporate major companies. R.O.A.D. 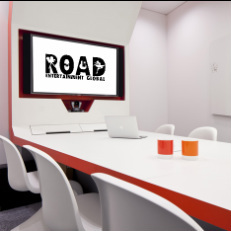 Entertainment Group utilise the collective experienced of resourceful professionals to ensure the highest quality product(s) are achieved catering for a range of production budgets. This, in conjunction with the financing and expertise necessary to create thorough marketing campaigns will guarantee the impetus necessary to create "winning" content for diverse, international and multinational consumer groups.